There is yet to be found a story about the future that does not assume human presence outside our home planet, without some catastrophe to prevent it. If we are confined to Earth, writers wrap it in a reality where aliens have invaded, computer or robots took over the world, a natural disaster has occurred of a history changing magnitude, or we have destroyed our own future via warfare –some weapon of mass destruction: nuclear, bio-chemical, or a biological agent that changes us all to vampires or zombies… Otherwise, the option to leave is a given. It is not a question of ‘if’, it’s a question of ‘when’, ‘how soon’, ‘how’. Many people ask ‘why do it’, because leaving Earth is the most difficult undertaking in our history, and the time, money, and natural resources to be expended to accomplish it outweigh any project ever conceived. They are asking that question because we are not desperate enough to leave. The reasons to make the attempt are not yet clear to everyone. It is not yet perceived as imperative. An average new car (let’s forget about the electric ones at the moment) spends about 2-3 gallons of fuel per hour. A single engine aircraft uses about 10 gallons of aviation-grade fuel per hour. Fuel consumption for a fighter jet in normal flight is 4,000 lb or 500 gallons per hour. If using afterburner for thrust it burns 7-10 times as much, so could reach 5000 gallons per hour. A Boeing 747 uses approximately 1 gallon of fuel per second. That’s 3,600 gallons per hour [so over the course of a 10-hour flight, it might burn 36,000 gallons]. The Falcon 9 rocket that has delivered a spacecraft to the International Space Station twice, has 2 stages: the first stage uses almost 25,000 gallons of kerosene [and 39,000 gallons of liquid oxygen], while the second stage uses 4,600 gallons of kerosene [and 7,300 gallons of liquid oxygen]. So the total for a trip is almost 30,000 gallons of kerosene. The retired Space Shuttles: they don’t use gasoline. Each of the two solid rocket boosters on the Shuttles carried 1.1 million pounds of solid propellant for the first two minutes of powered flight. [Additionally, the Shuttles’ large external tank was loaded with more than 500,000 gallons of super-cold liquid oxygen and liquid hydrogen]. Of course, this doesn’t stop us from flying jet aircraft around the world every second of every day. You could say that anything we do is not good for the environment. 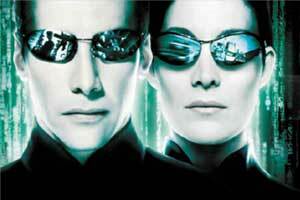 Our mere existence on Earth affects it badly like a disease, a virus, just like Agent Smith said, in The Matrix. 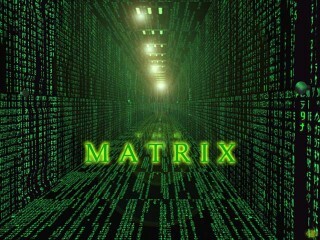 I’d say his solution for it (wiping us out) is a bit extreme… Long live Neo. So. We’ll have to keep on researching, experimenting, and looking for alternatives: nuclear, biological, electrical, solar, and maybe some new means will be identified in the future. Harvesting resources outside Earth is only a partial solution. This will be one of the biggest challenges when we try to sustain our extra-terrestrial activity. It’s probably part of why Mars One is advocating a one-way trip. Science fiction writers don’t provide enough answers to the question: “where will all the money and resources come from?” They just assume it will happen, and are in favor of it. In some cases they expect it to be every day business. 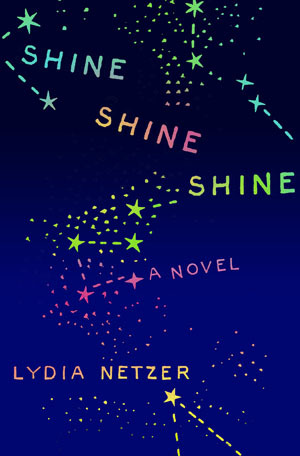 Such is the case with the quirky, compassionate, semi sci-fi – semi not, wonderful book “Shine, Shine, Shine” by Lydia Netzer. It’s about a a genius engineer on a NASA mission to the moon, to program robots for a new colony, his wife on Earth who wants to be normal while she’s anything but, and life in-between. On the other hand, here are some pessimistic thoughts from Rocket Science News, who is all for a human mission to Mars, but worries it will take over 100 years to do it: bootprints-on-mars. I’ll be adding here quotes from around the Web, and random listings of those who support exploring space, and think it’s a good idea; and I’ll keep looking for that answer. In the meantime, you can enjoy the writing of one writer who is now perceived as Earth’s resident expert on extra-terrestrial settlement, Kim Stanley Robinson, who wrote the 1990’s Mars Trilogy, and a very recently published vision of the near future: 2312. [Another excellent review for the same book, plus a great write-up about this author at Slate.com]. In addition, Space.com has published a very interesting 2 part interview with him: Part 1: Terraforming the Solar System, and Part 2: The Future in 2312. This entry was posted in Lets Go to Mars, Space Exploration and tagged 100 Year Star Ship, 2312, Intersteller Space, Mars, Mars One, Red Mars, science fiction books, Shine Shine Shine, Space Exploration, The Matrix. Bookmark the permalink.